The popular Discovery Channel show “American Chopper” made a special appearance at Spartan Tuxedo over the weekend. Paul Teutul Sr. and his son Mikey Teutul were on hand with Spartan CEO Joe De Sena and OSCAR MIKE President & Founder Noah Currier to unveil the latest creation from Orange County Choppers. The customized chopper is a collaboration between Spartan and the OSCAR MIKE Foundation and is part of fundraising efforts to support building a new training facility for injured and adaptive veterans. The Foundation regularly rallies injured veterans to push their limits and participate in Spartan race events through the support of the OCR brand. 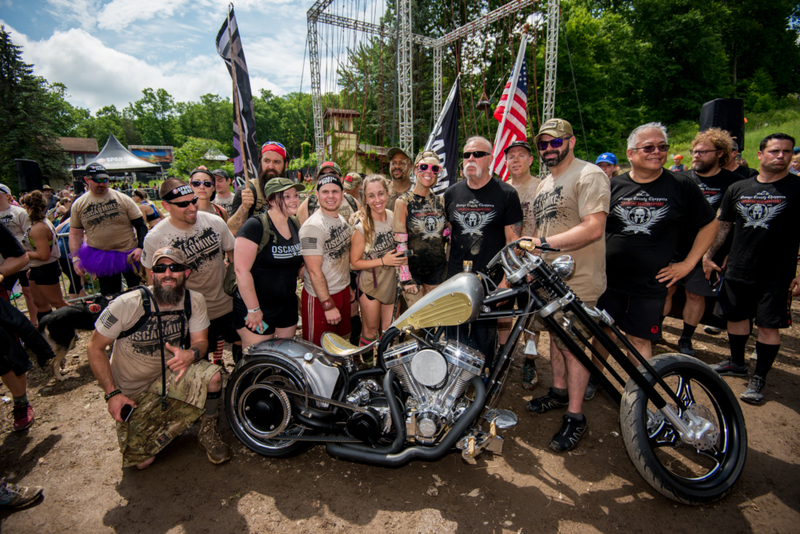 To enter to win the Spartan chopper and donate to the OSCAR MIKE Foundation, people can register for any “Orange County Chopper Veteran Charity Heat” from June 2 through October 14, and the race fees will benefit the Foundation. Participants can also enter by making a donation directly on Spartan. 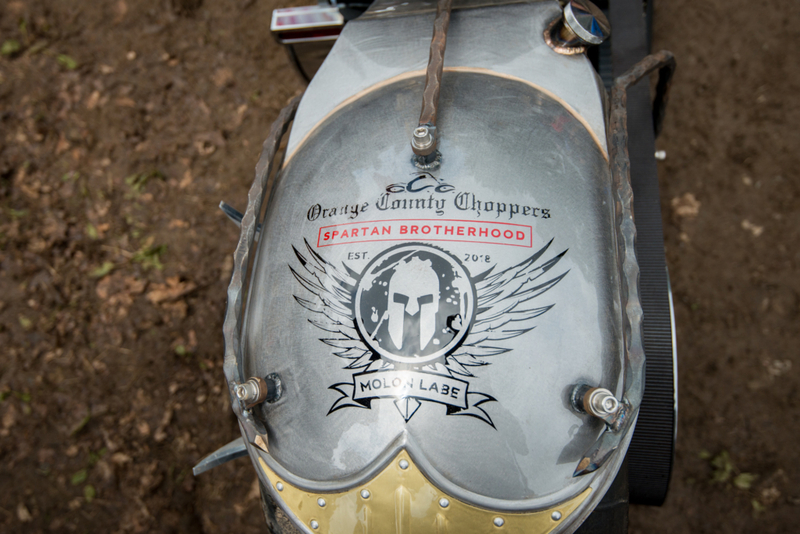 The winner of the custom Spartan chopper will be announced at the Spartan Laughlin Weekend taking place mid-November. 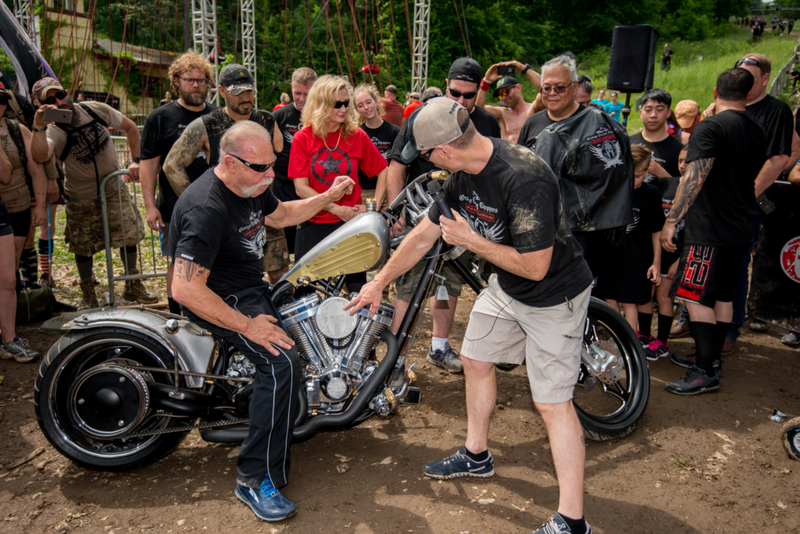 The bike, which was unveiled over the weekend at Spartan’s Tri-State New York Sprint race in Tuxedo, NY, will be featured along with the story behind it on an upcoming episode of American Chopper Monday, July 2 at 10 p.m. EST.